Monet was the founder of Impressionism, and was one of the most influential landscape painters in the history of art. When painting outdoor scenes, he broke the tradition of portraying a subject by conveying the effects of atmosphere, time of day, and season upon color and light. By eliminating black and gray from his palette, he represented natural color like a prism, breaking it down into its individual components, often painting a series of the exact same view under different light and weather conditions. 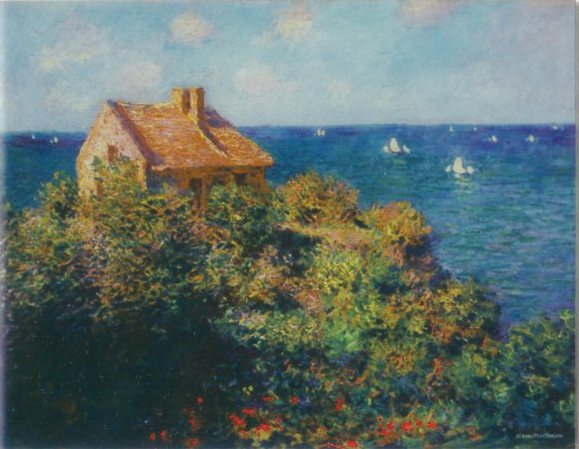 Masterswork’s recreation of this work attempts to capture Monet’s vision of this seascape scene.